"Hercules Terra Trac Radial Rib | Drenth's Highway Garage Tire Pros. | Quality Tire Sales and Schererville, Indiana "
5-rib design for smooth running performance and exceptionally long mileage. Aggressive center-rib gives great all-season performance and outstanding road traction. 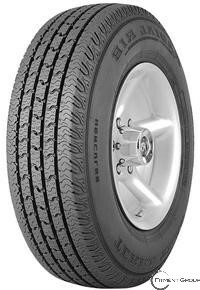 Wide tread arc provides traction and long, even tread wear.